As we gear up for All Hallows’ Eve, the humble pumpkin gets its chance to shine. But while Jack O’ Lanterns are great for letting neighbourhood trick or treaters know they can knock, they also lead to tons of food waste. Since we hate to see delicious produce go uneaten, here are a few tips for making the most of your festive pumpkins. The first step is being smart when prepping your Jack O’ Lantern. A carved pumpkin left out for more than 24 hours is probably not safe to eat, but if you’re set on sculpting, prep it so you save as much of the seeds and flesh as possible before it goes out on the porch. 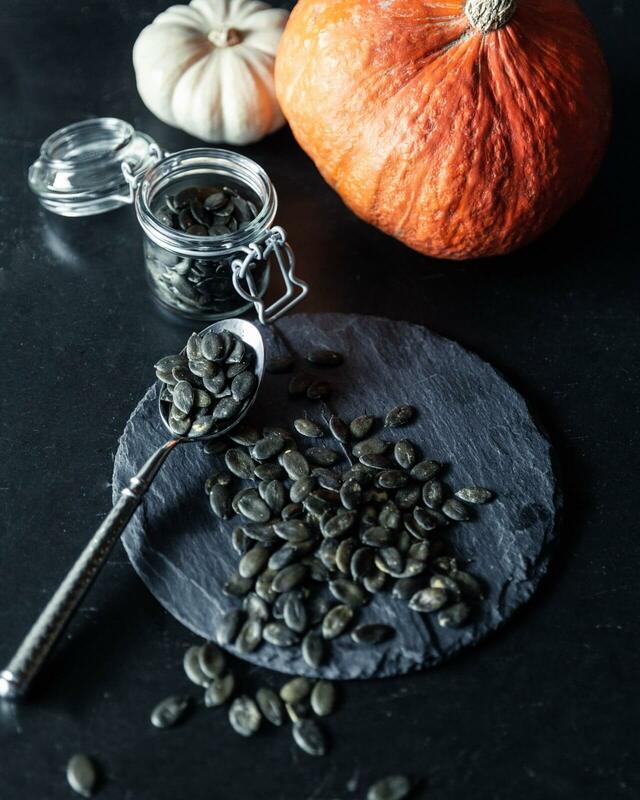 Start by cutting off the top of your pumpkin and pull out the seeds: you’ll want to remove the stringy membrane and keep it aside for roasting. Then use a big spoon or ice cream scoop to scrape out the pulp, until you reach the whitish inner layer. Don’t forget to save the scraps left over from carving out the nose, mouth and eyes. After all this hard work you’re probably hungry. Once roasted, those pumpkin seeds make a perfect high-energy snack. Simply roast them with a little oil and salt, or play around with different spices and seasonings. Try turning them into a low GI candy alternative by roasting with honey. Just toss the washed and dried seeds with a pinch of salt and some pumpkin-friendly spices of your choice (cinnamon, nutmeg, ginger and cayenne pepper are a few favourites). Combine about 3 Tbsps honey and 2 Tbsps butter and mix in with the seeds until they’re covered. Lay them out on a lined or non-stick baking tray and roast at about 180°C until golden, tossing every 10 minutes. In about half an hour you should have a crunchy and sweet-tooth satisfying snack that will keep the kids happy without the sugar high. Once you’ve carved out the pumpkin, you should have a decent amount of pulp. 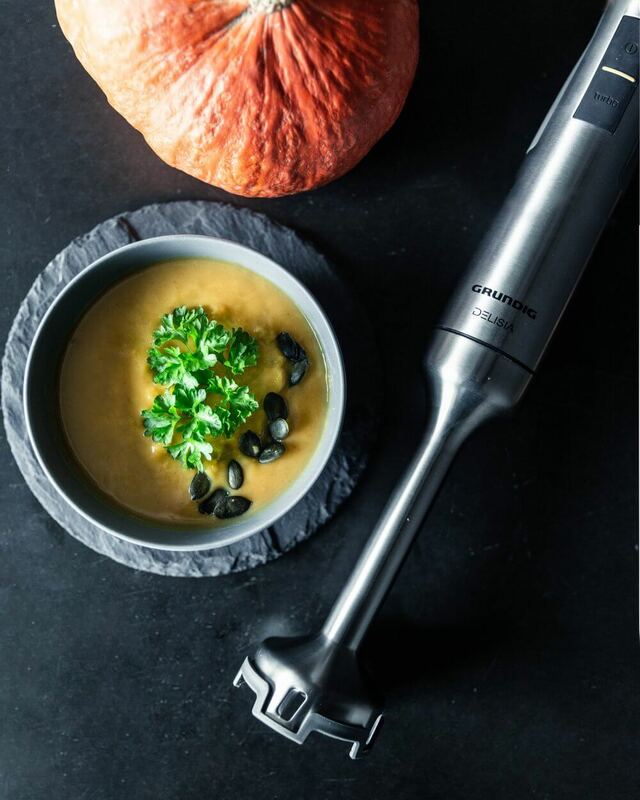 You can easily keep it for future recipes like ice cream by creating a pumpkin puree . Throw it in a cheese sauce to make a lighter and extra special mac and cheese or try tossing it into a warming curry. 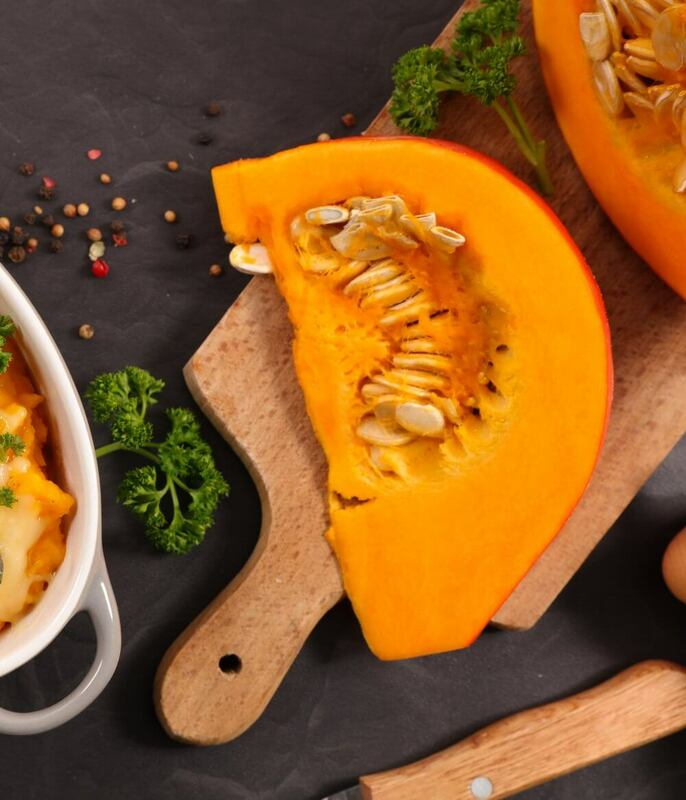 The velvety texture of pumpkin works particularly well in soup. Make a base by softening a chopped onion and a few cloves of garlic, then add the pumpkin flesh and cover with stock. From here on the options are endless. Try adding green curry paste, coconut milk and fresh coriander for a Thai inspired version. Simmer in a few chopped apples along with honey, rosemary and thyme, and blend for a classy seasonal version. Garnished with crumbled goats cheese and roasted pumpkin seeds, this makes a perfect dinner party starter. The best way to ensure none of your Jack O’ Lantern goes to waste is to decorate it with nontoxic paint. That way you can save the seeds, pulp and skin. Once the colour is washed off, try chopping the flesh to make these delicious pumpkin fries. Pumpkin skin is delicious roasted on its own. 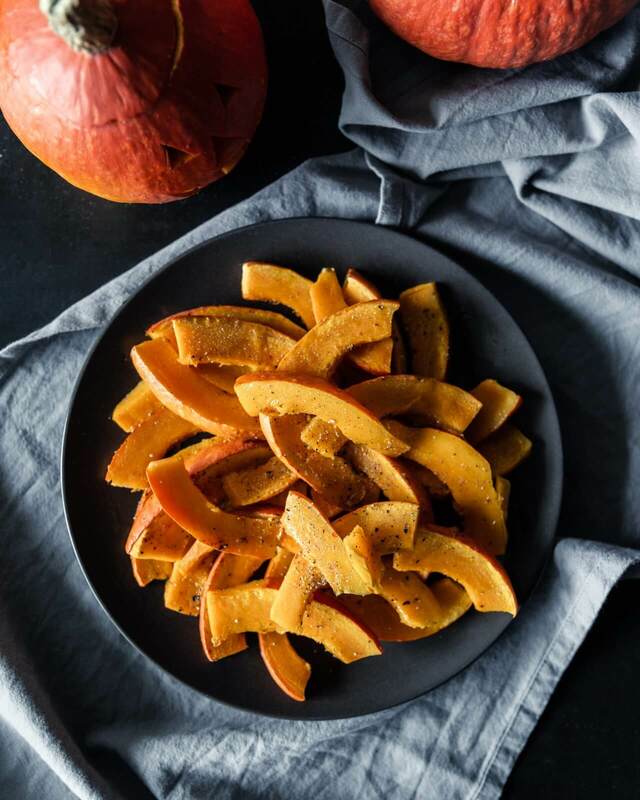 For a satisfying savoury snack, try making pumpkin skin crisps. Just peel the pumpkin and toss the scrapings in a little oil and salt before roasting for around 30 minutes at 200°C. You can keep things simple or spice it up with a sprinkle of chilli flakes and a squeeze of lime.